Imagine transporting yourself to a tropical cotton candy island with coconut cream bubblegum flavored waterfalls and luscious lime fruits. 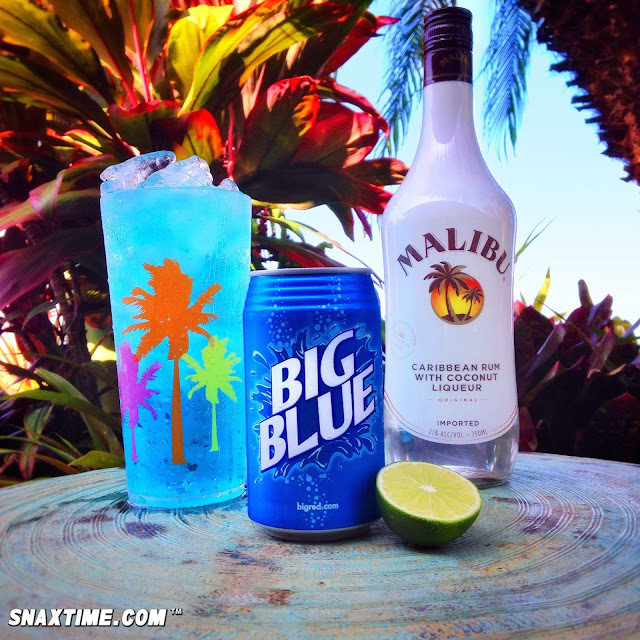 Snaxtime's new Big Mali'Blue cocktail recipe will take you there. Just pour a frosty can of Big Blue soda, Malibu coconut flavored rum and a splash of fresh lime juice over a tall glass of ice and give it a stir. Then savor the refreshing experience of tropical candy bliss. Escape to paradise with Big Mali'Blue!